When it comes to kitchen trends, no style is having more of a moment than the industrial model. 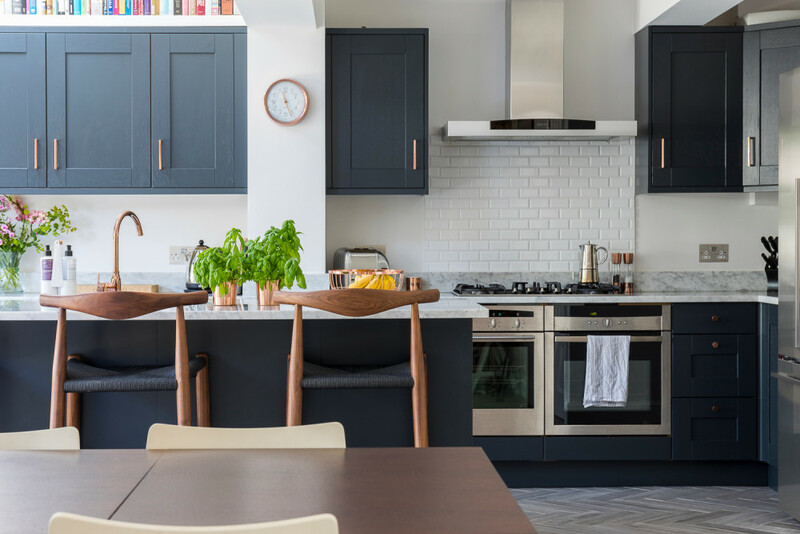 Whether you want sleek modern finishes, or rustic touches, this stylish trend gives homeowners just enough freedom to personalise their space, while still providing a high-tech, functional hub for your home. The main goal of an industrial design is to bring some of the benefits of restaurant standard kitchens into your home. And what do professional chefs love? Space. Specifically worktop space. You’ll want to make sure you have plenty of surfaces, so your home is ready for any cooking adventure. Whether that’s kneading bread, disjointing a leg of lamb, or simply somewhere to dump those expensive (and bulky) kitchen gadgets you have in storage. If you’re a serious foodie, as many fans of this design are, you’ll no doubt have an impressive array of kitchen appliances, cutlery, and dishes. But the last thing you want is to clutter up your new kitchen with these items, that’s why clever storage is key to this design. You’ll want to install plenty of cabinets for your items, as well as some shelves for your prettier equipment and dishes. After all, you don’t have to hide everything away. In fact, good storage can be just as much about good display, as well as concealment. Perhaps you hang your most used items on the walls, or keep your pots on a shelf near to the cooker. Whatever your preferred kitchen methods, make sure your storage is customised to your needs. Now this is a subject to really perk up your ears - appliances. There’s no point of upgrading your kitchen if what you cook on doesn’t match up. Make sure you’ve left yourself enough budget for a proper industrial style cooker - six or more hobs, double oven, swish steel extractor fan. You’ll also want to make sure the rest of your appliances match up. If using a steel cooker, like the one above, try to have your refrigerator and microwave follow suit in a similar material. The sink can often get neglected in the excitement for a new kitchen, but even this humble item has plenty of design options. If you want to create a most rustic version of the industrial design, why not opt for a classic butler sink? But if that’s not your thing, then you could also go for the eye catching, and practical, spring neck tap - like the one above. Spring neck taps are a staple of many restaurant kitchens, beloved for their flexibility, and the ease at which they can clean even those most stubborn items. You might also consider matching up your taps and sink to the rest of the space. Perhaps you want a steel theme running through, or perhaps cool white tones, even black quartz. Whatever your favourite material / colour scheme, think of each part as one whole. No matter how much money you spend of nice fittings and fancy appliances, it won’t mean much if your kitchen lacks that all important factor: natural light. When we come into contact with natural light, our body releases melatonin, aka: the happiness hormone. The more light you can bring into your kitchen, the happier the space. This is where a kitchen extension can really help. If you’re adding on a rear extension, or going for a big renovation, consider where skylights might be able to brighten up your dark corners, and where you’ll be spending most of your time. In the example above, we designed one skylight to be above the worktops, so the homeowners didn’t have to squint while preparing lunch. We also included a set of large bi-fold doors. This glazed wall not only brings in plenty of natural light, but also creates a greater sense of connection to the garden area. A perfect blend of inside and out, ideal for summer BBQs. Lacking the budget for skylights and new doors? No worries, there are still plenty of stylish lighting options. One of our favourites, which can be seen above, is pendant lights. These dangling beauties make lovely feature points of the room, and generate lots of extra light. So no matter how far along you are in your dream project, Resi can get you ready for construction. If you’d like to discuss your kitchen options, book in a free consultation with our experts. We can help assess your home, and give you a guide on services needed, budget, and timelines - we're the perfect first step!